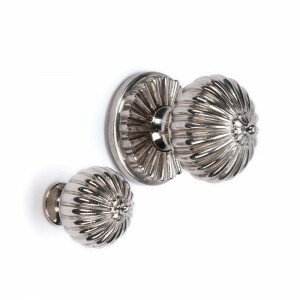 Polished Nickel Reeded door knob. Also available in other finishes or custom finished to order. Shown here with the cupboard knob version in the same finish. The door knob can be made either with fixed or turning mechanism.